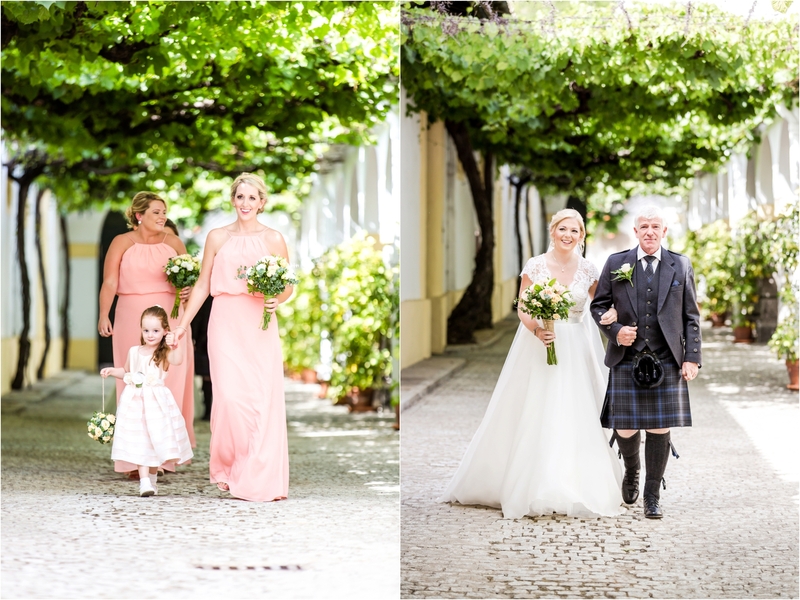 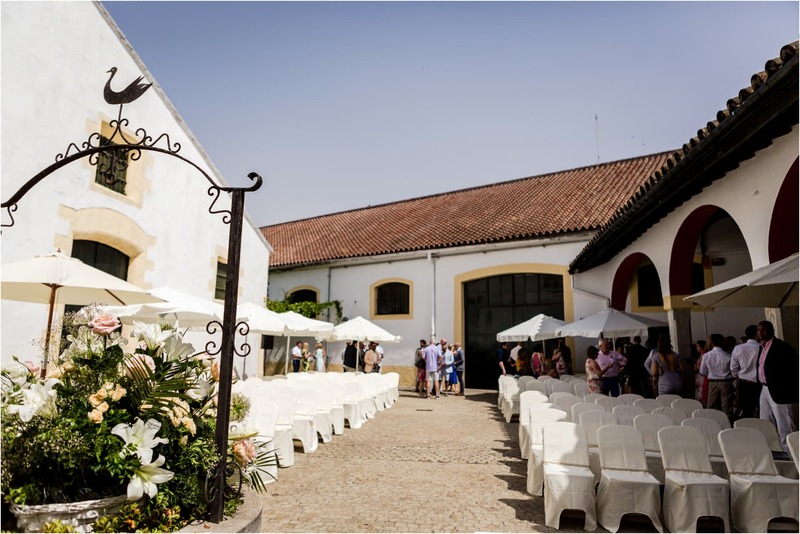 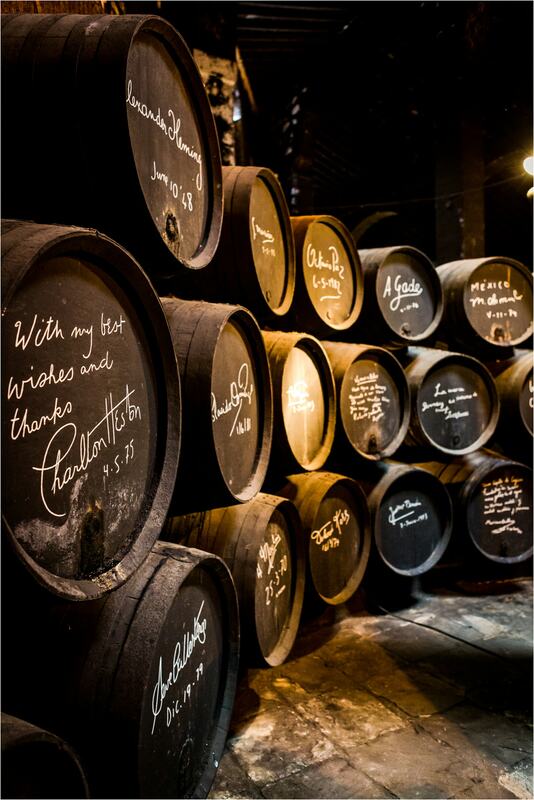 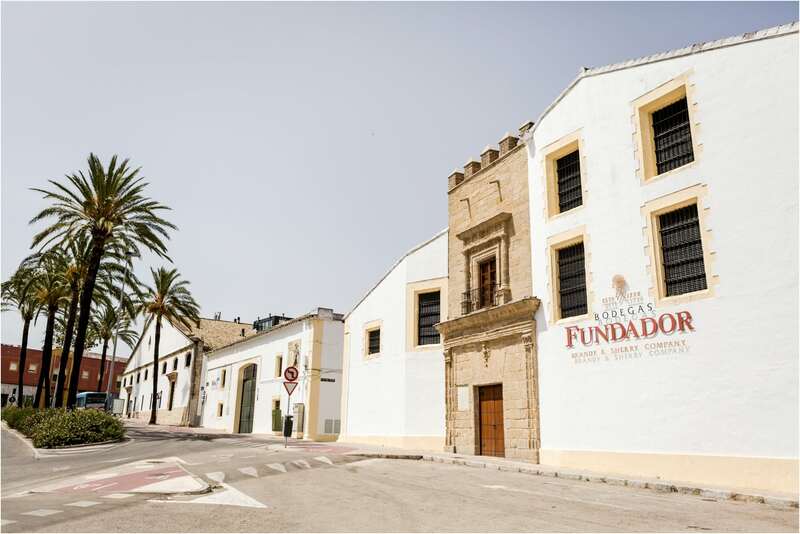 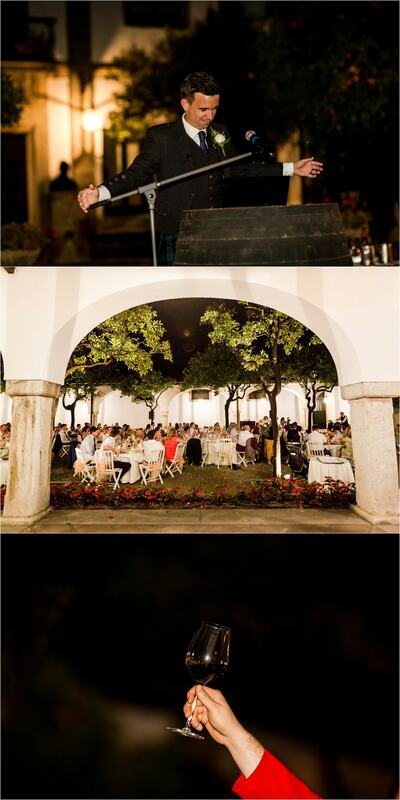 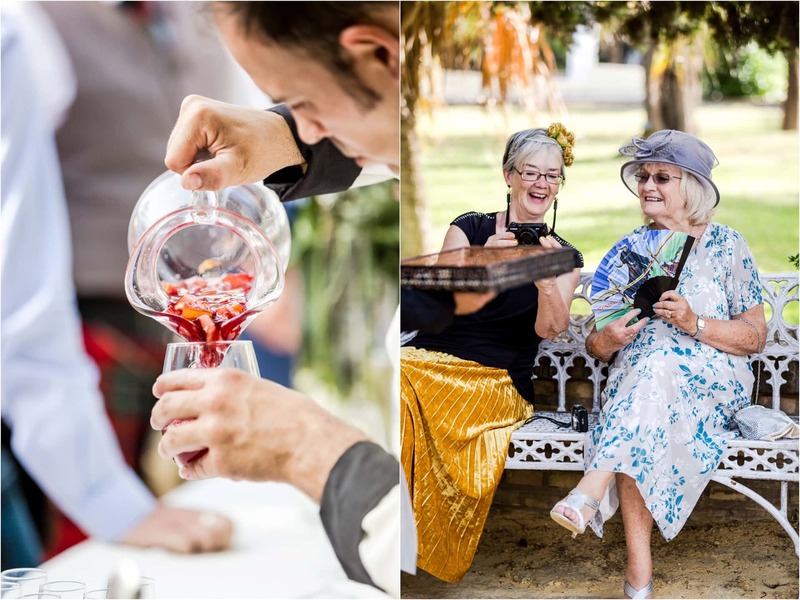 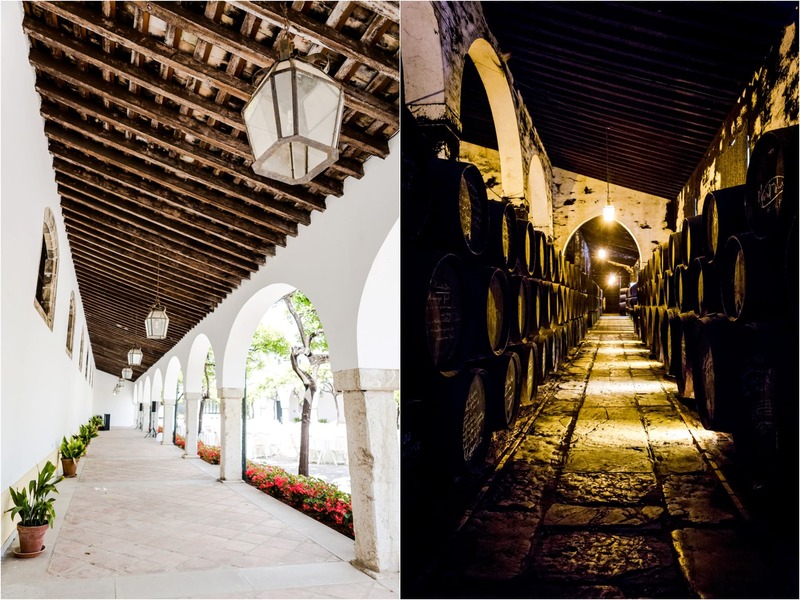 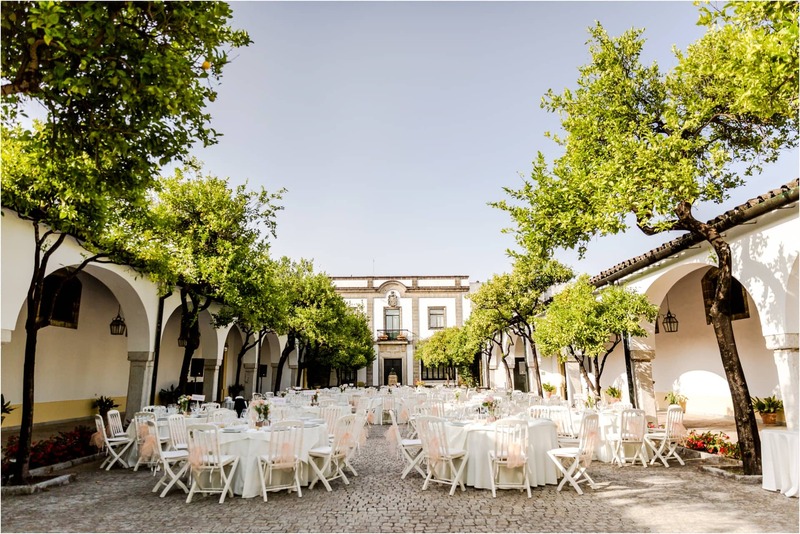 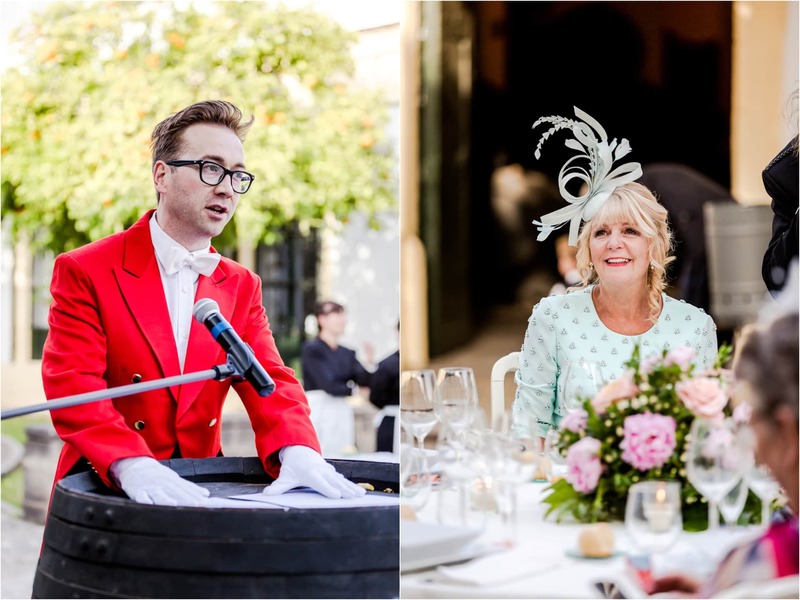 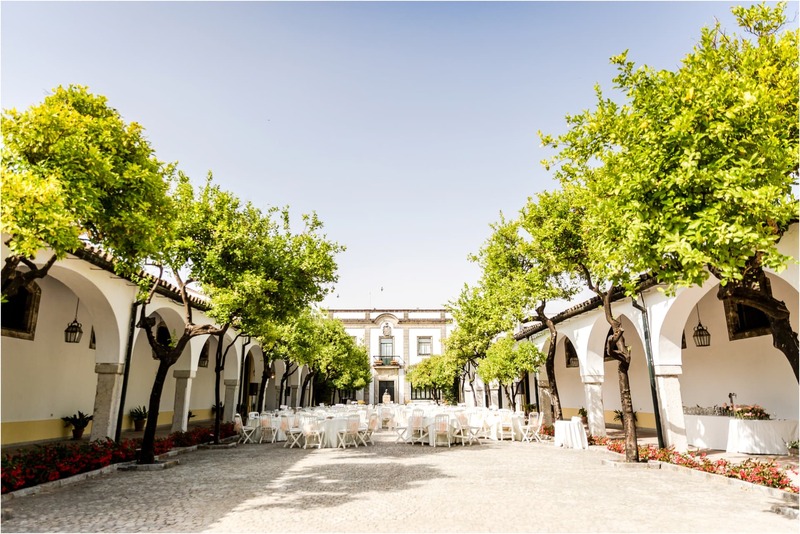 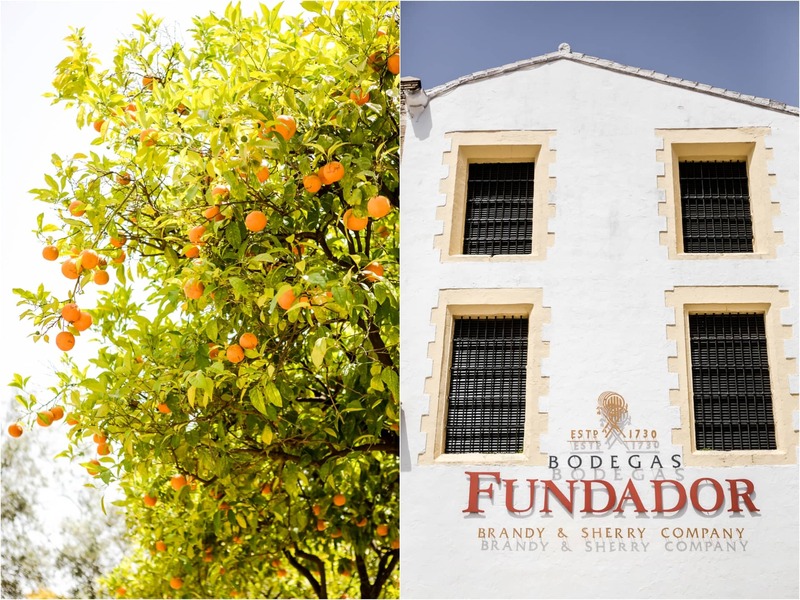 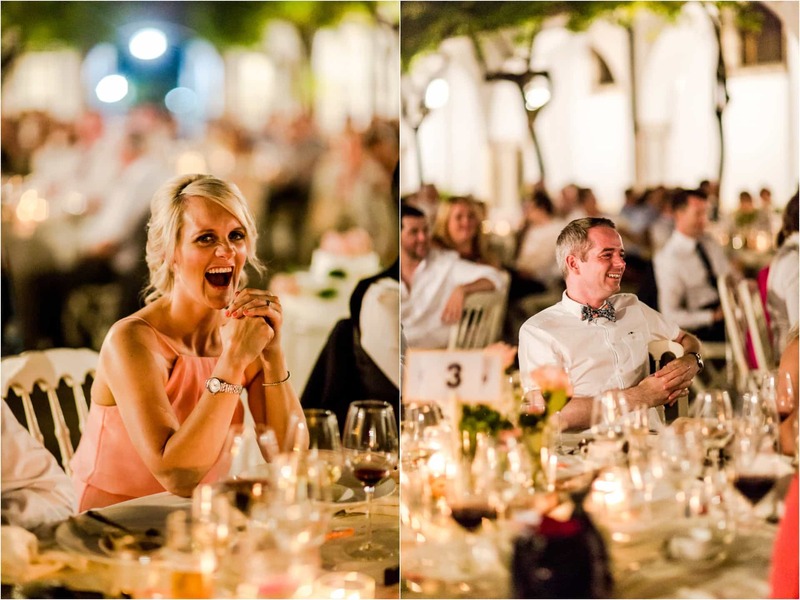 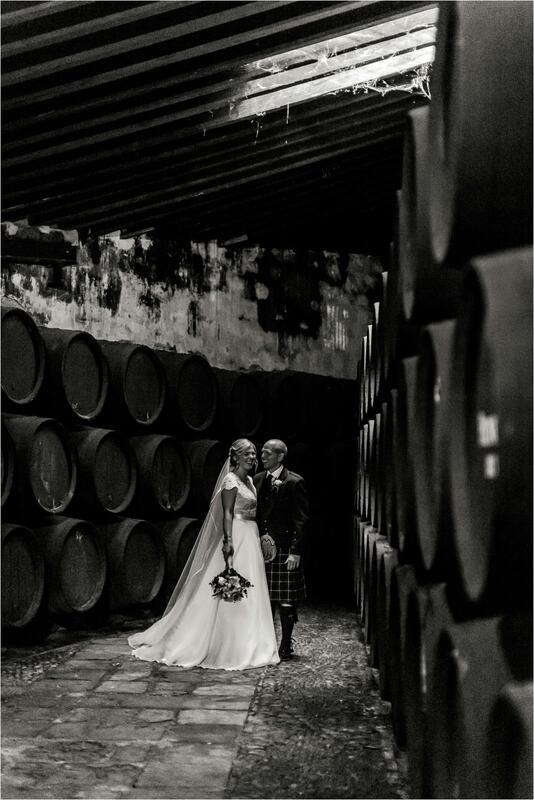 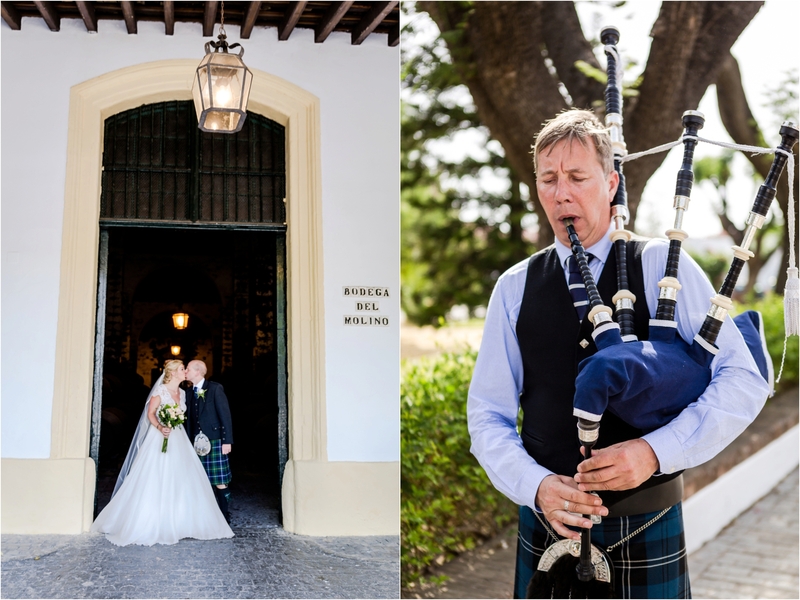 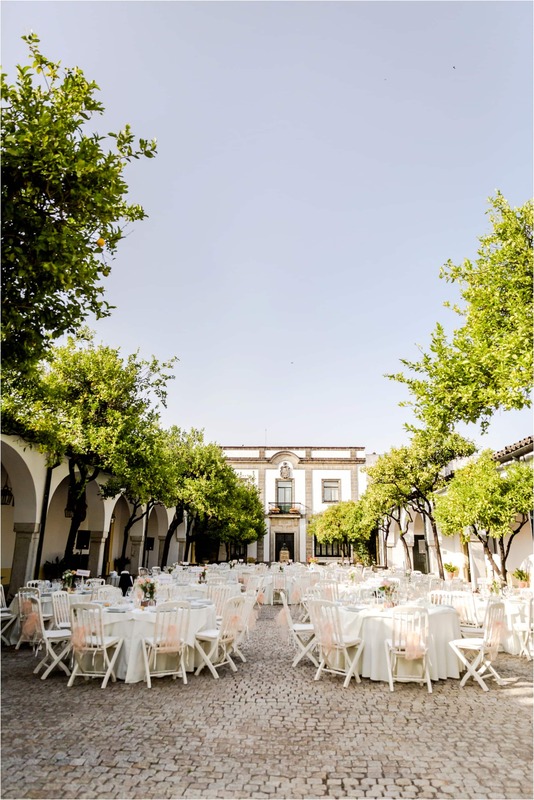 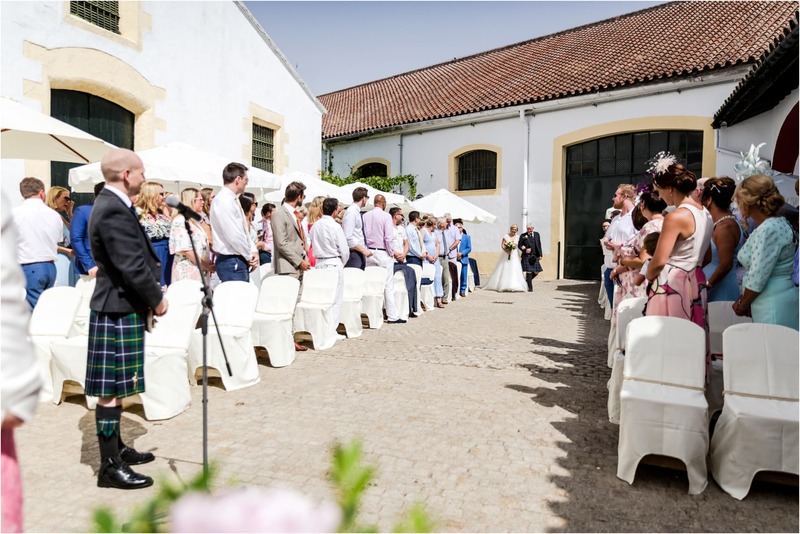 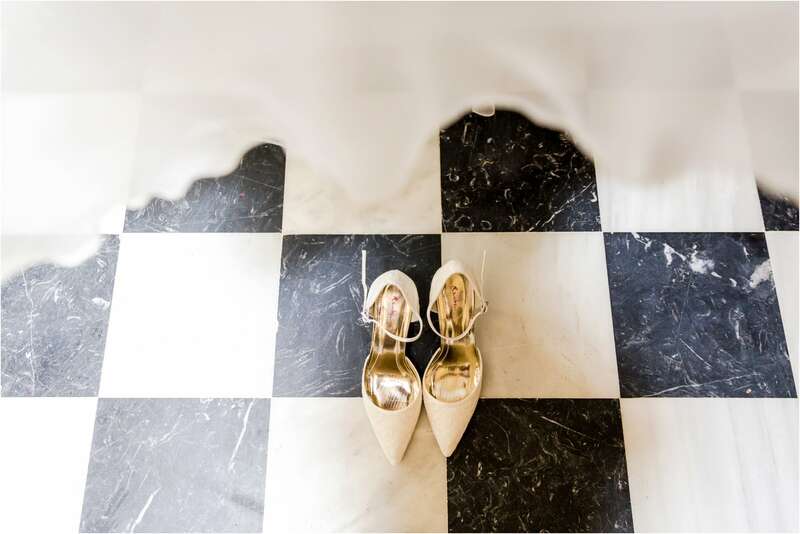 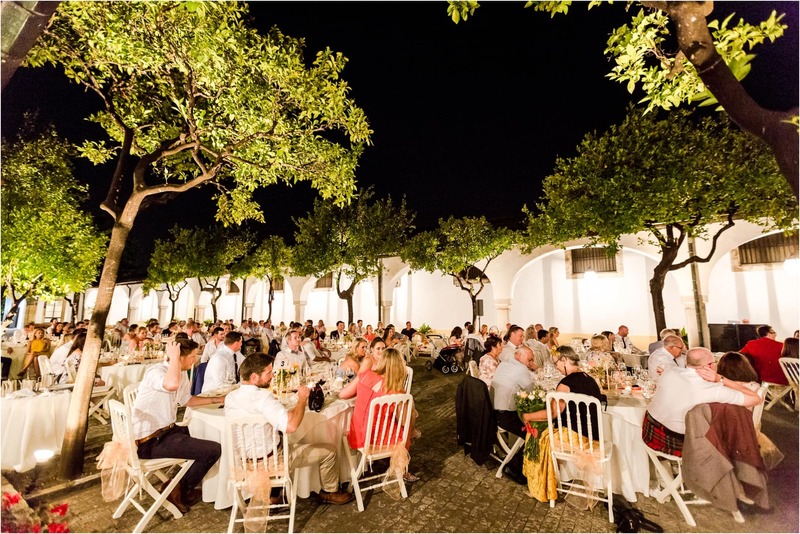 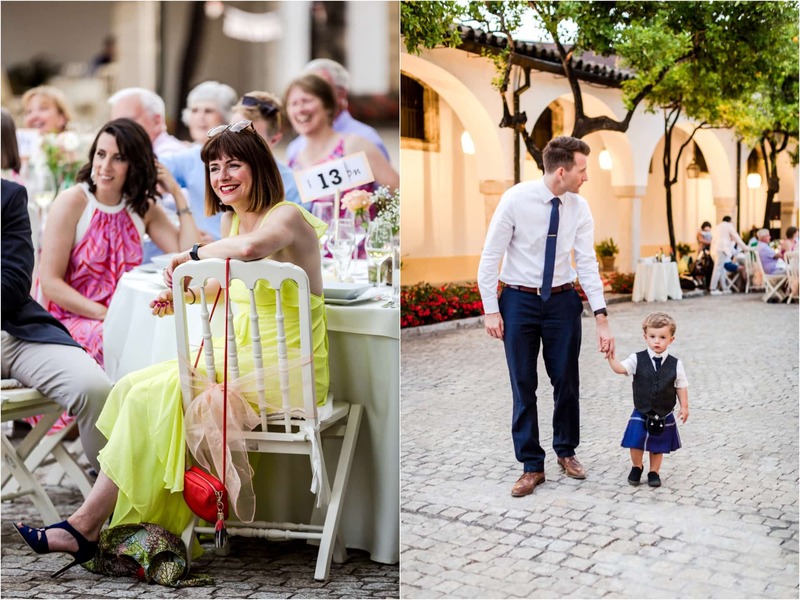 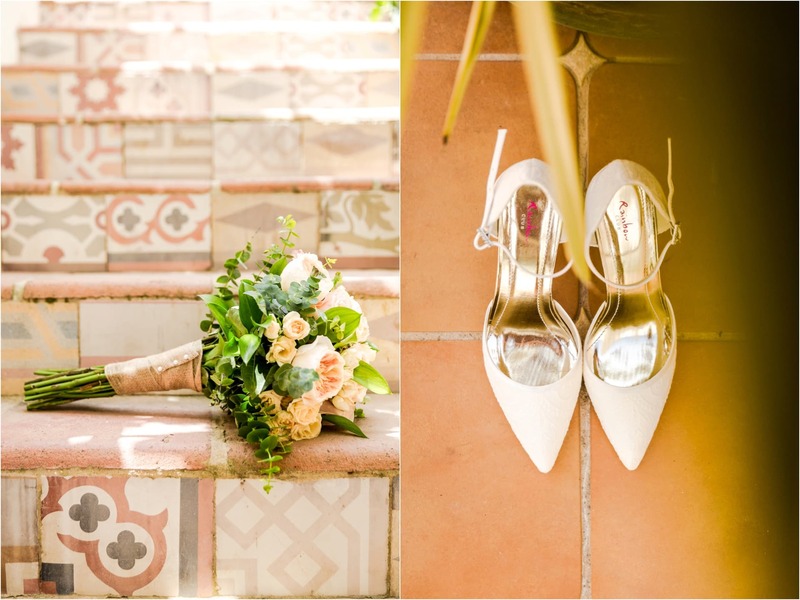 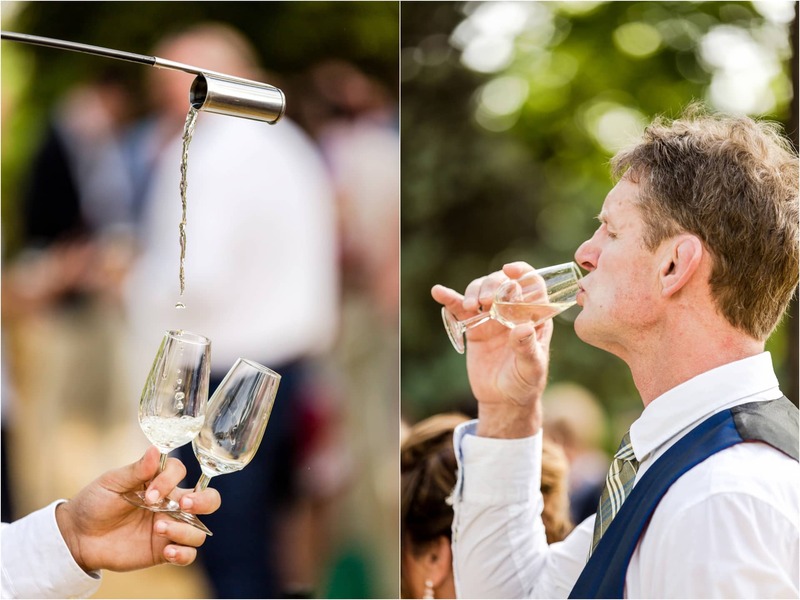 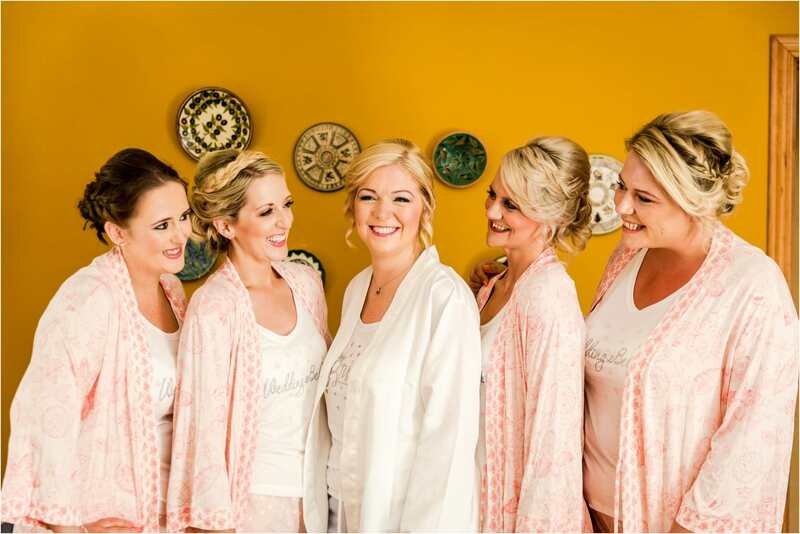 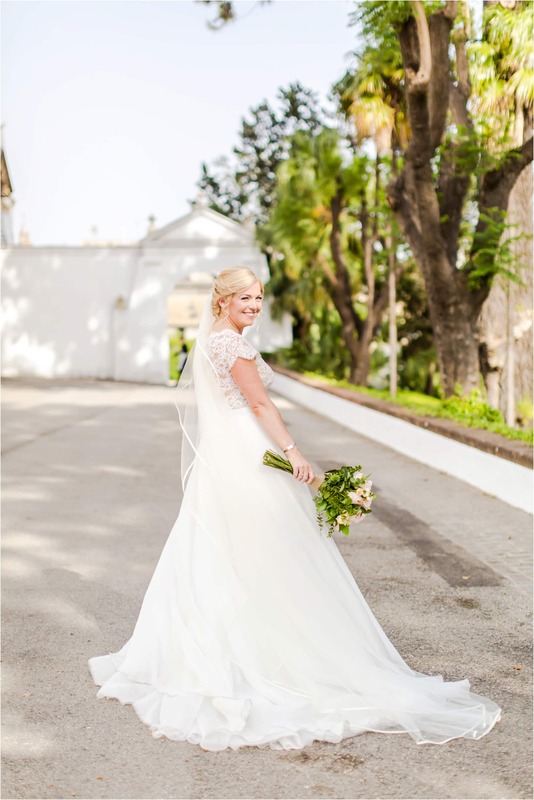 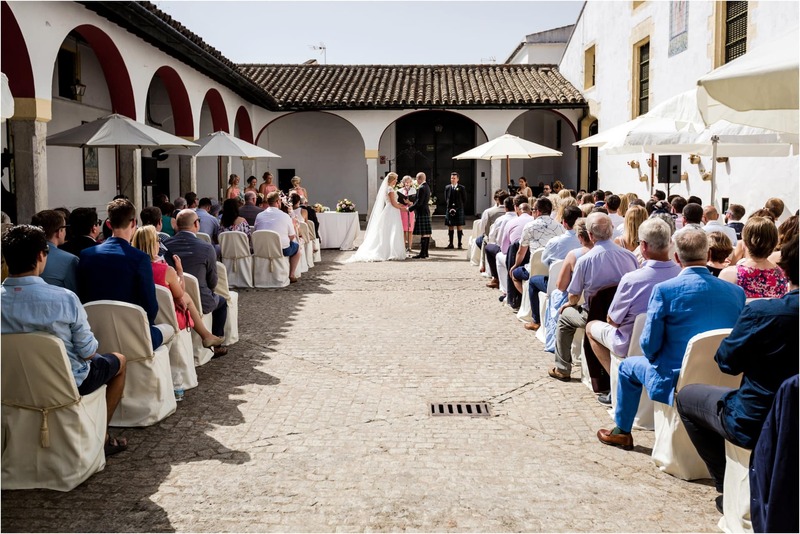 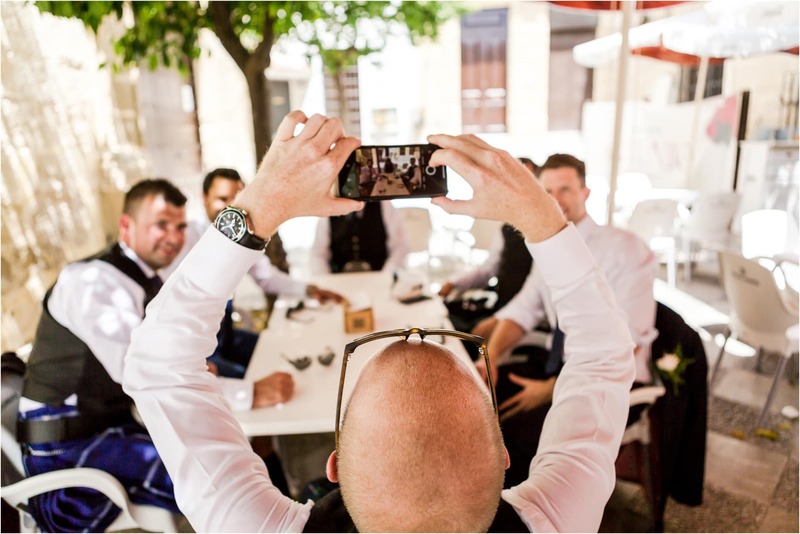 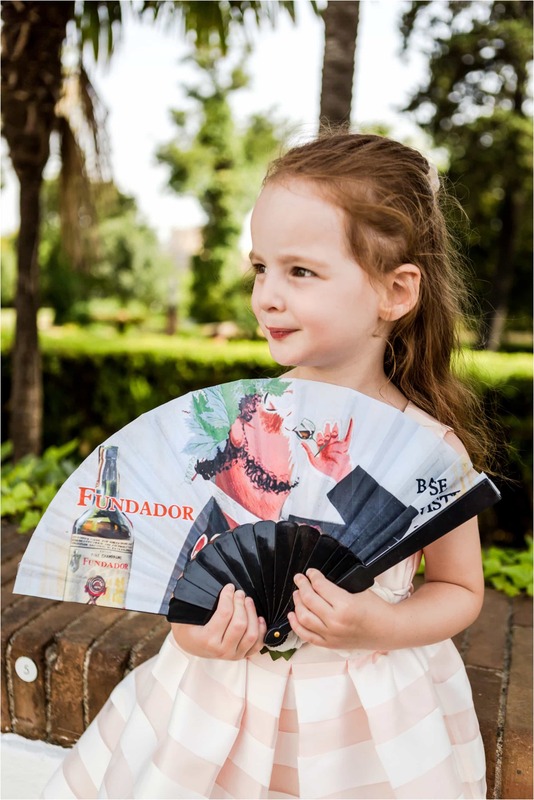 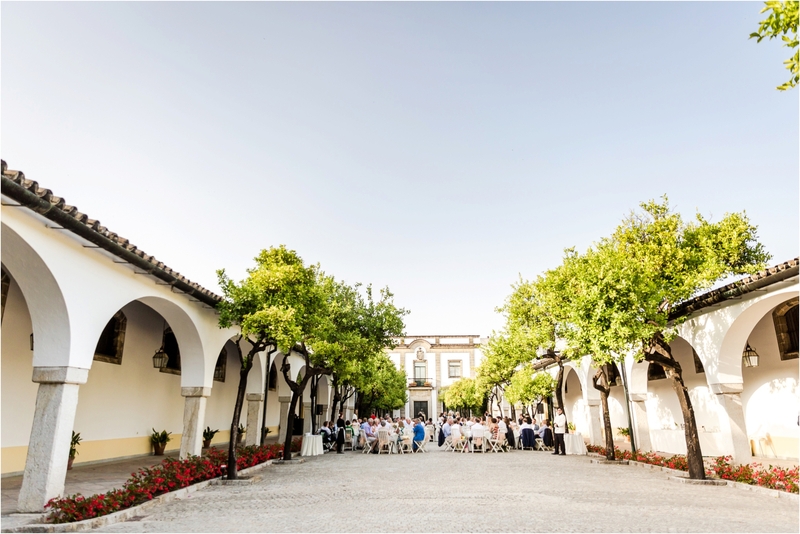 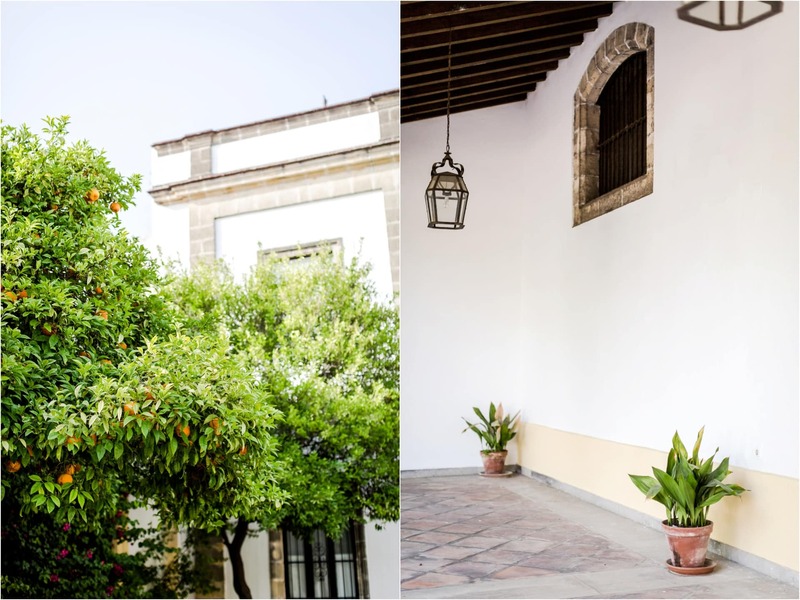 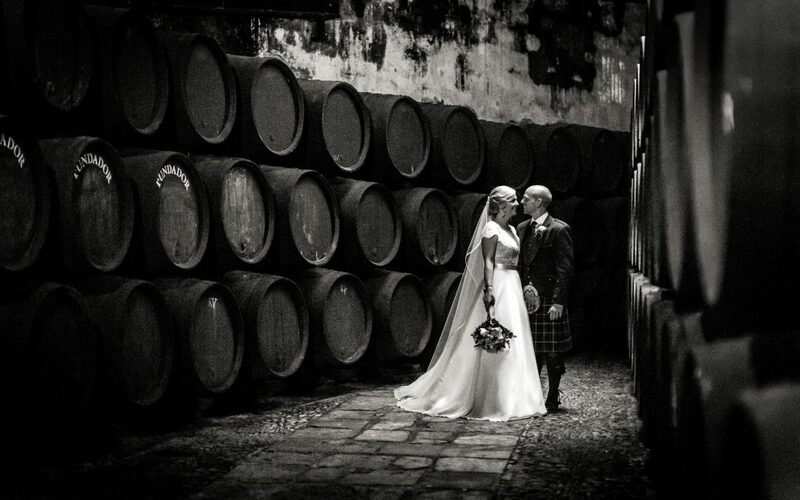 It was a pure joy to photograph Pam & Alex’s wedding at Bodegas Fundador – steeped in history since 1730, this winery was a stunning location to have a wedding! 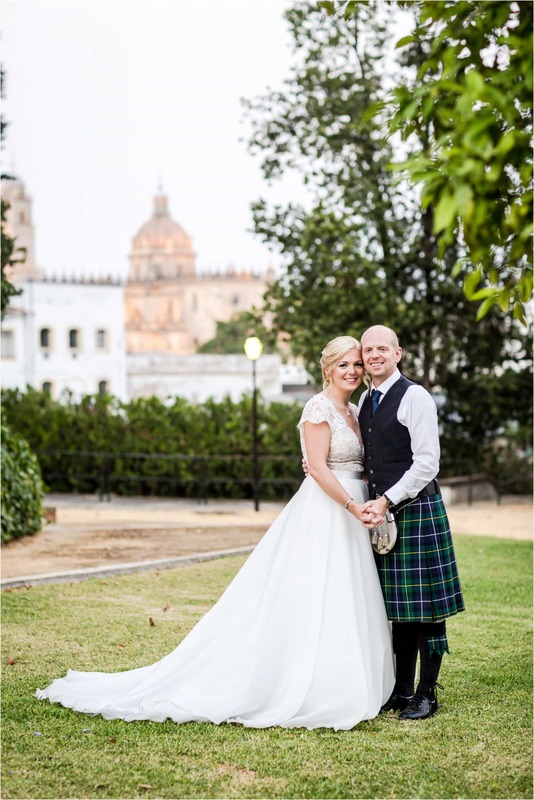 Jerez also has it’s history for this couple as they both completed their pilots training here. 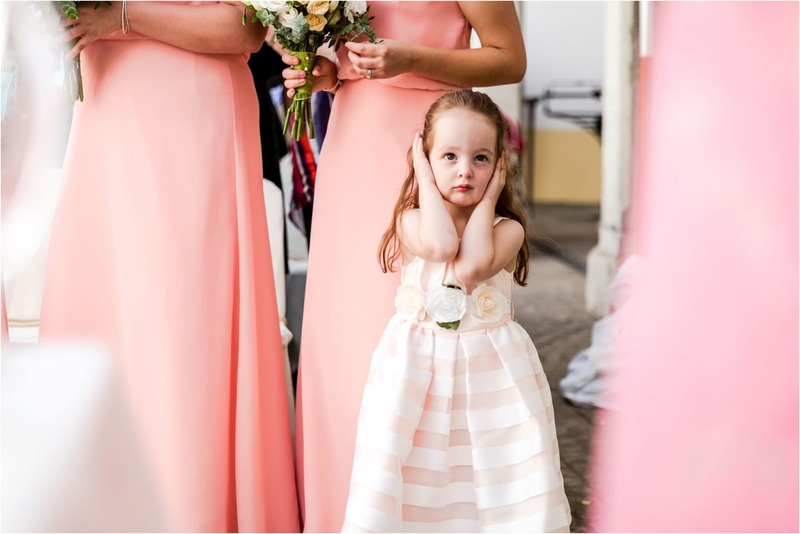 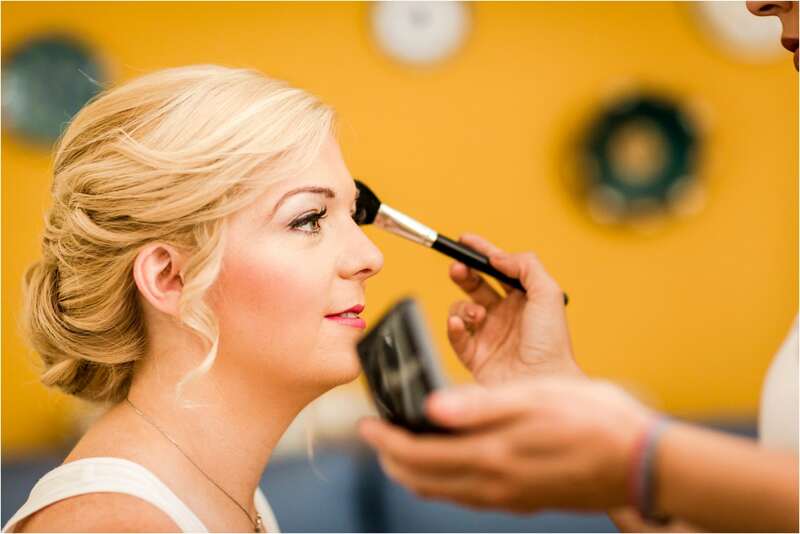 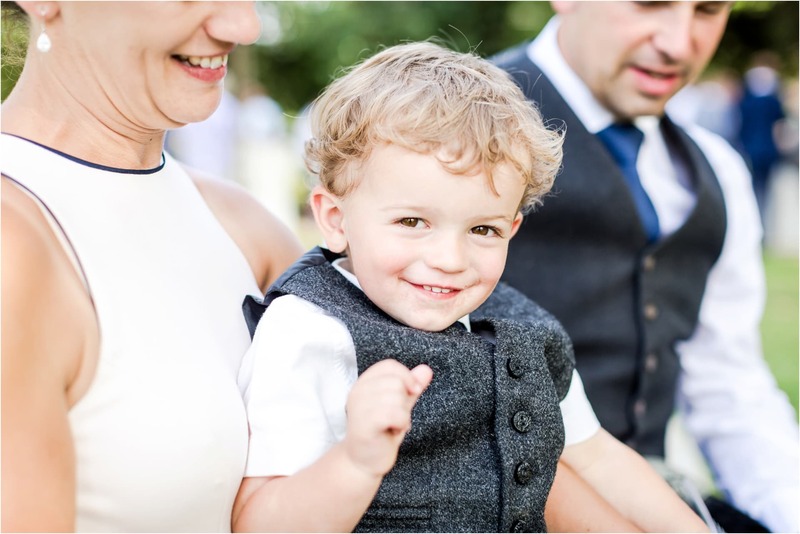 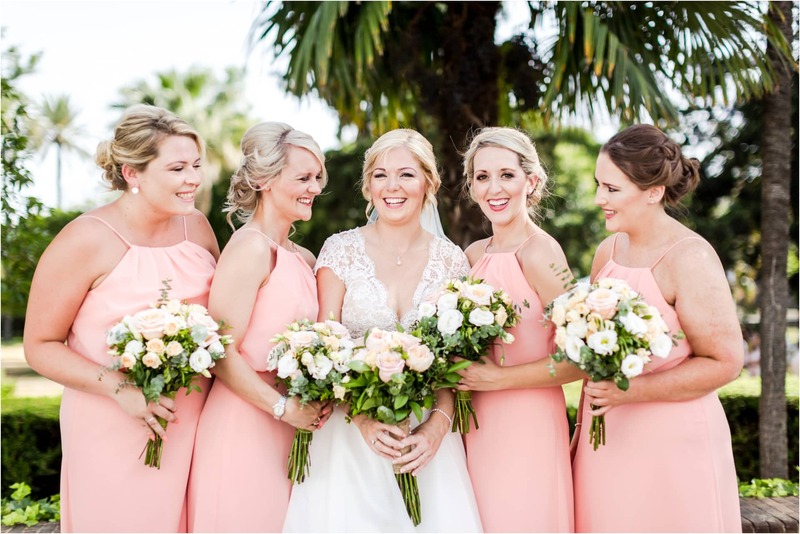 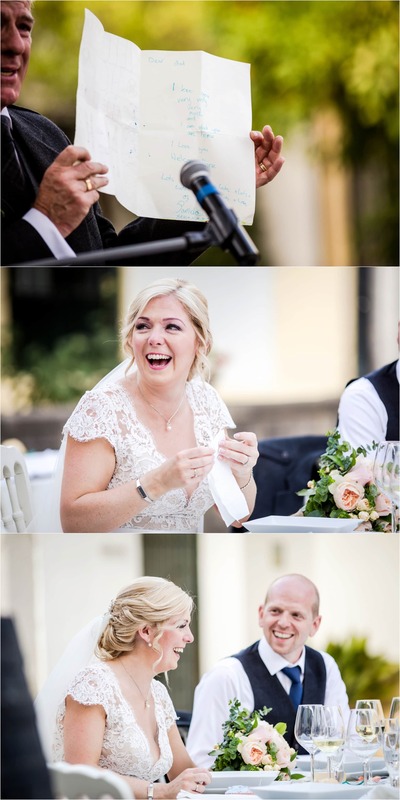 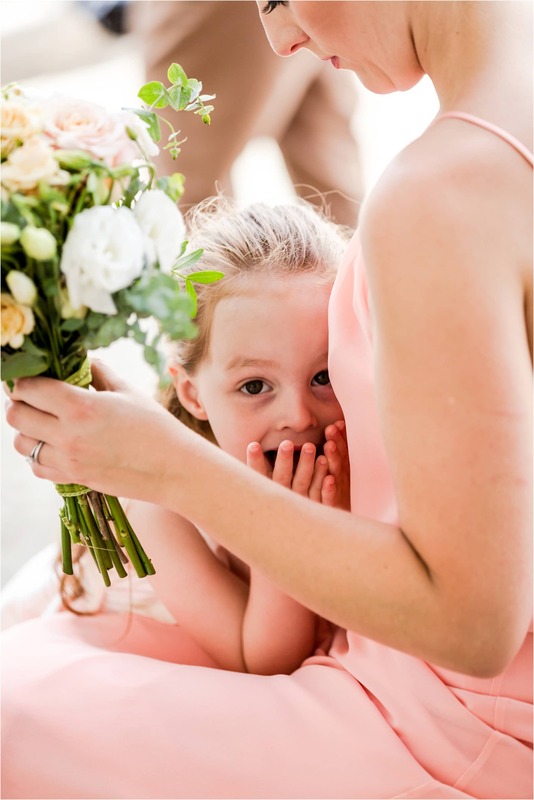 Shooting a wedding in 34 degree heat didn’t even stop me from beaming for these lovely two, although Pam’s dad made me cry on at least 3 occasions – I need to remember to pack more tissues in my camera bag!!! 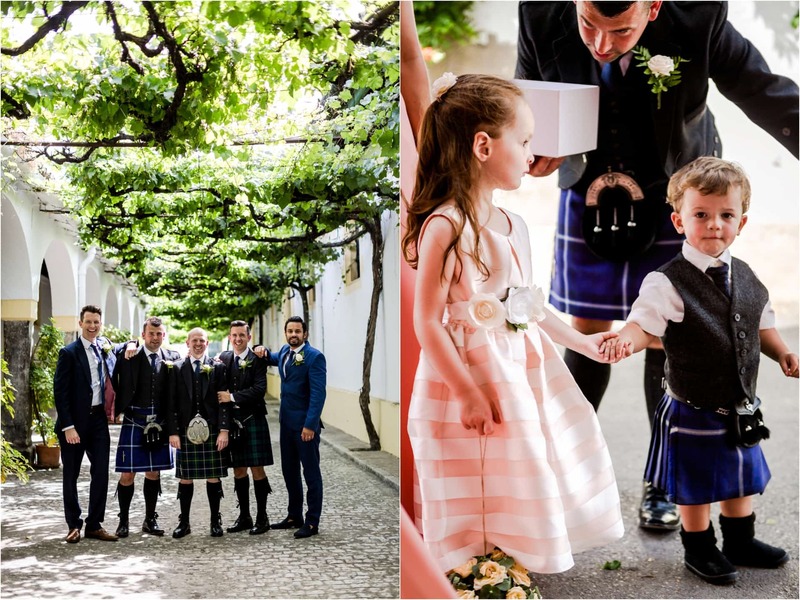 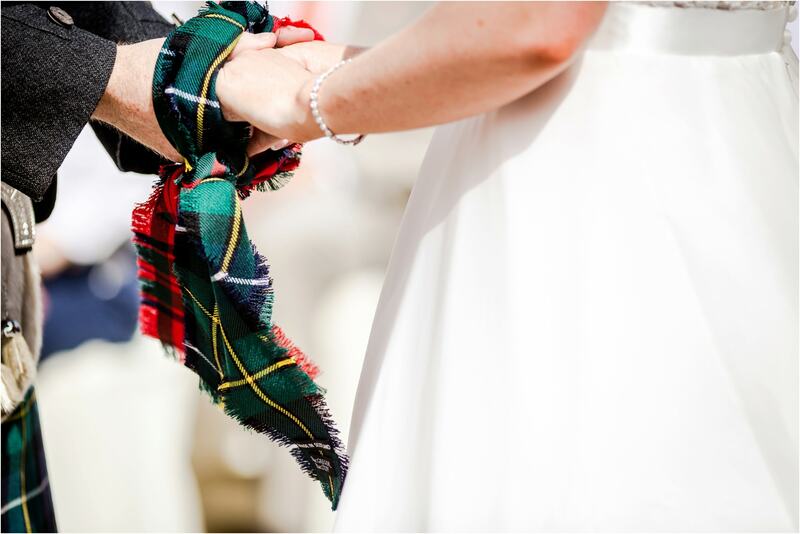 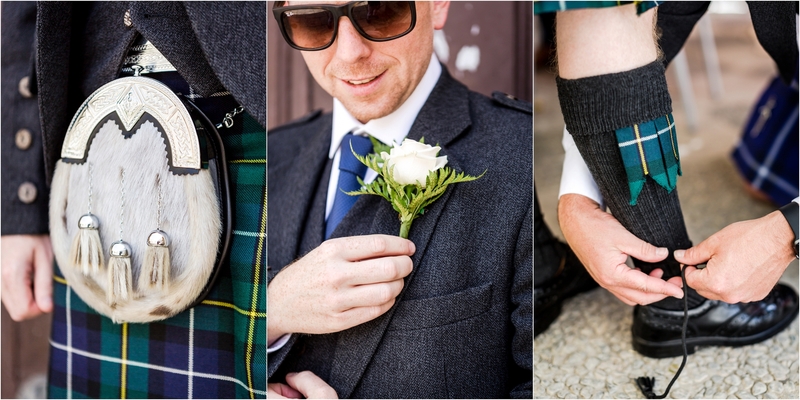 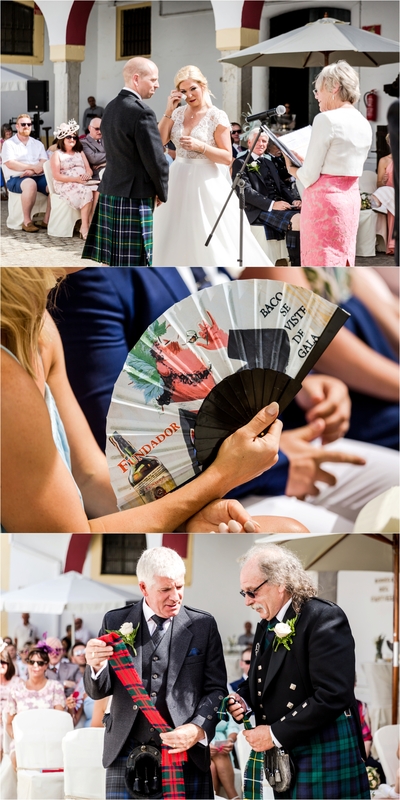 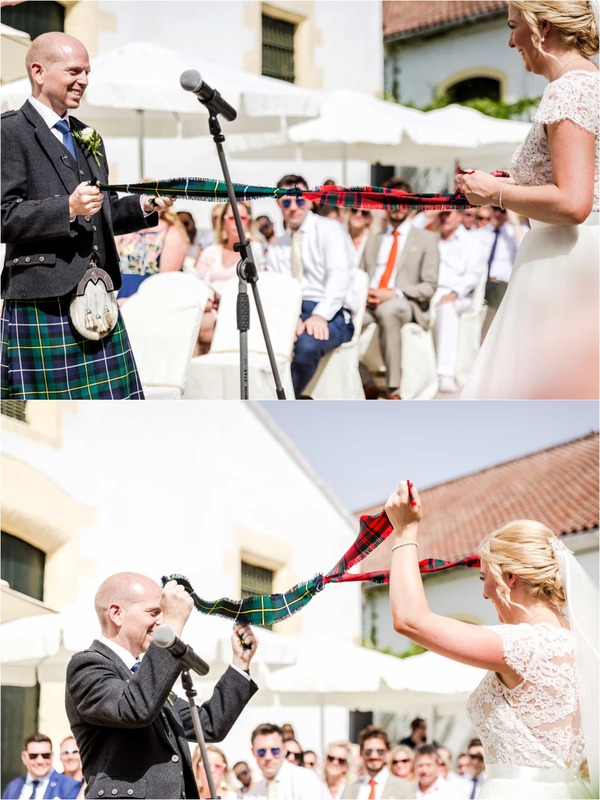 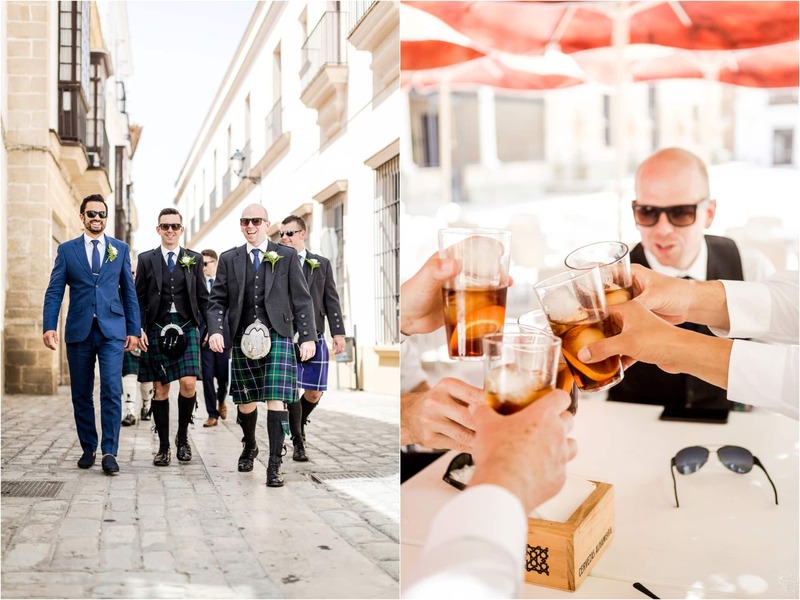 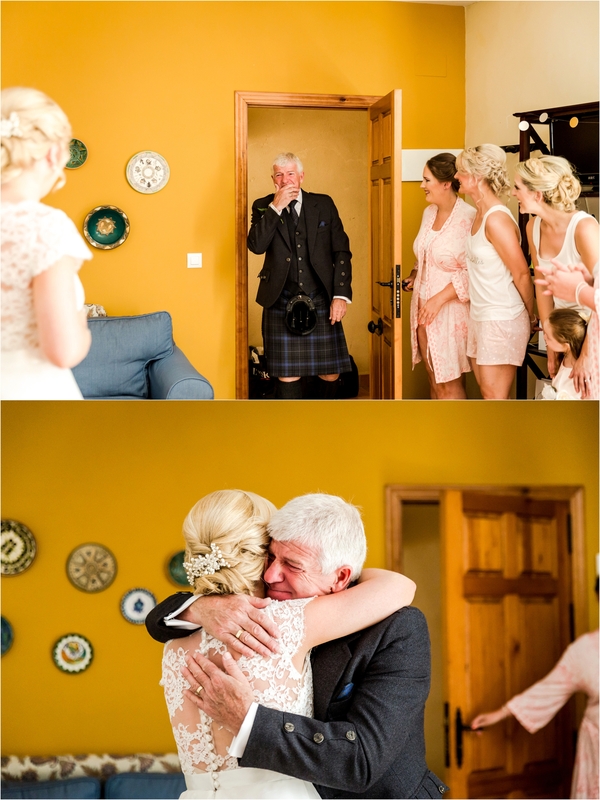 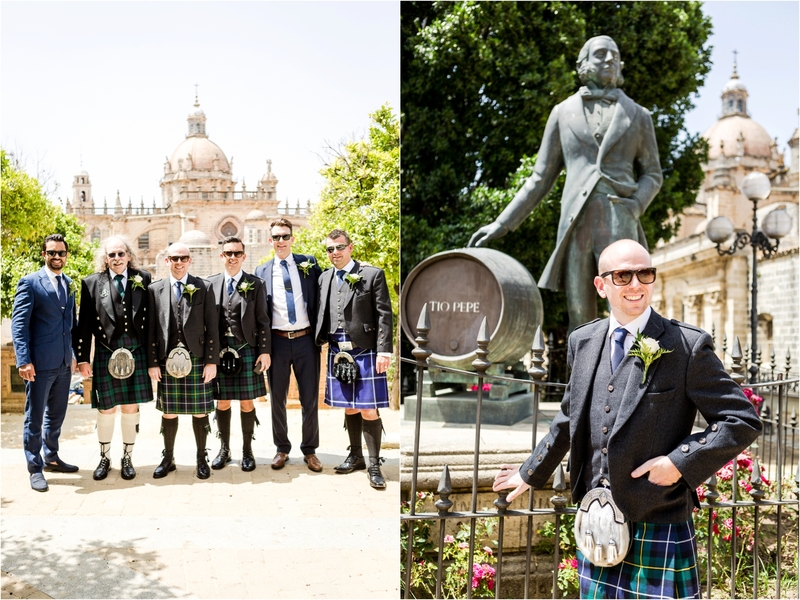 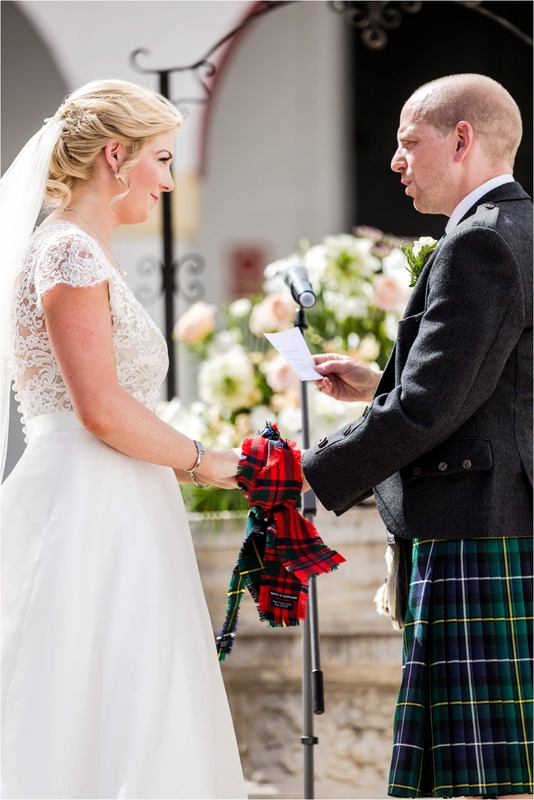 This was a coming together of two Scottish families and I loved seeing the traditions such as the tying of the knot – in this case it was the families tartans – hand-binding and drinking from the quaich – apparently a tradition of trusting the other person not to poison your drink! 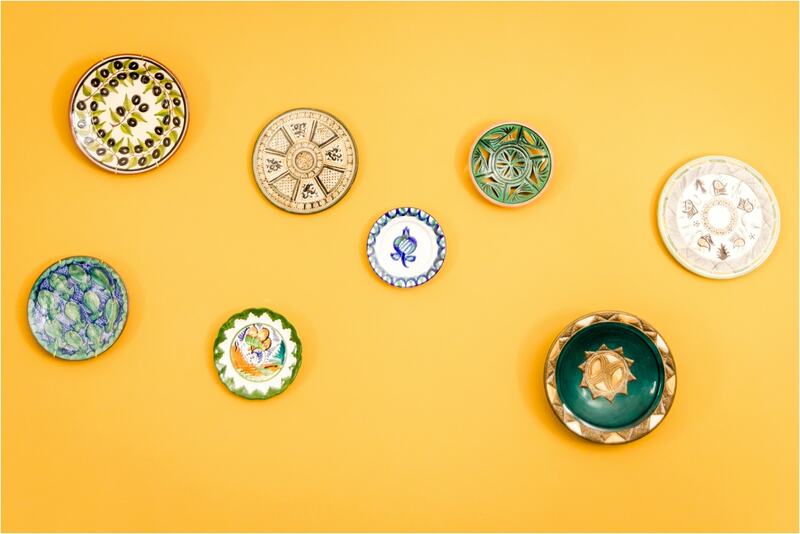 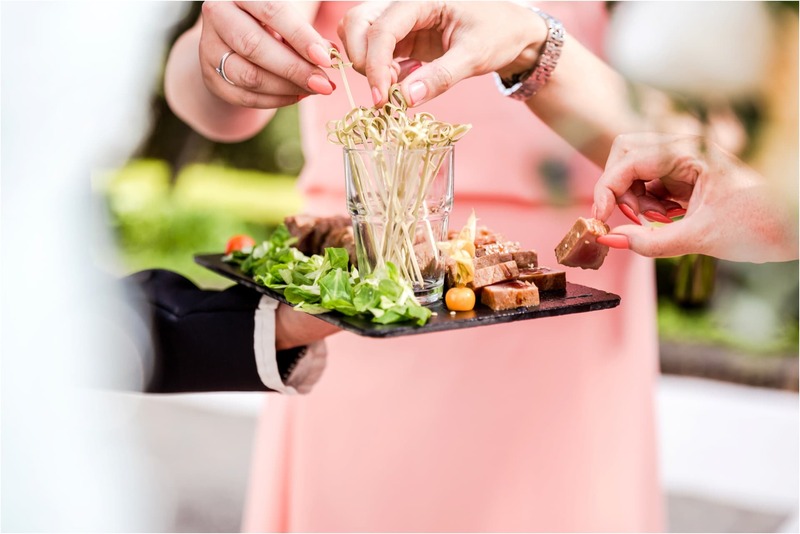 Ok – today it’s more about sharing! 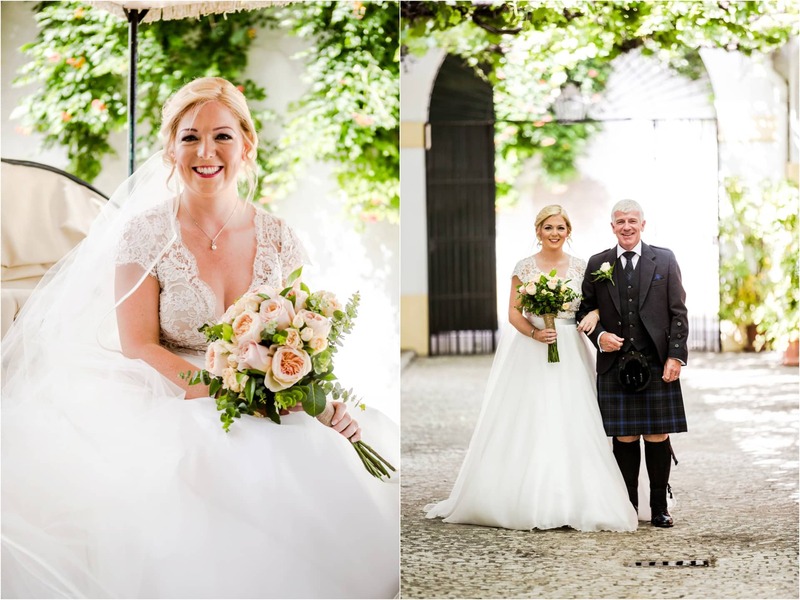 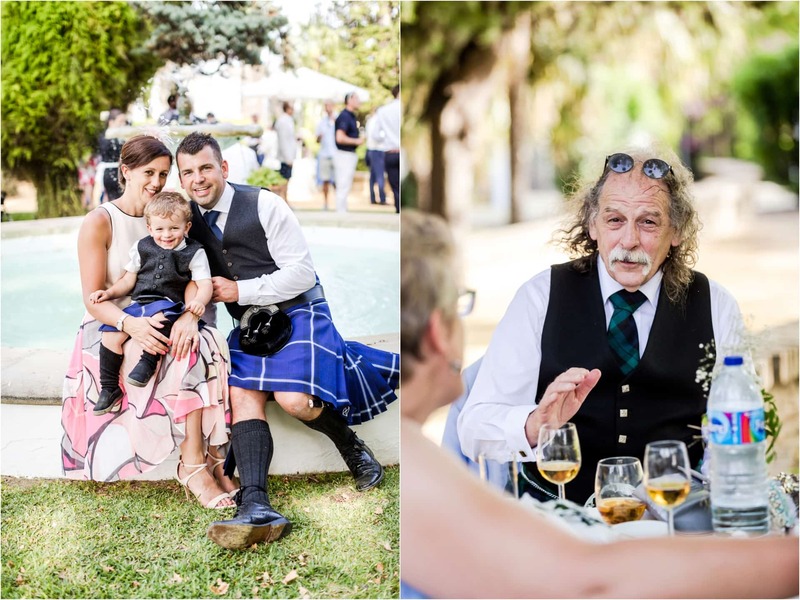 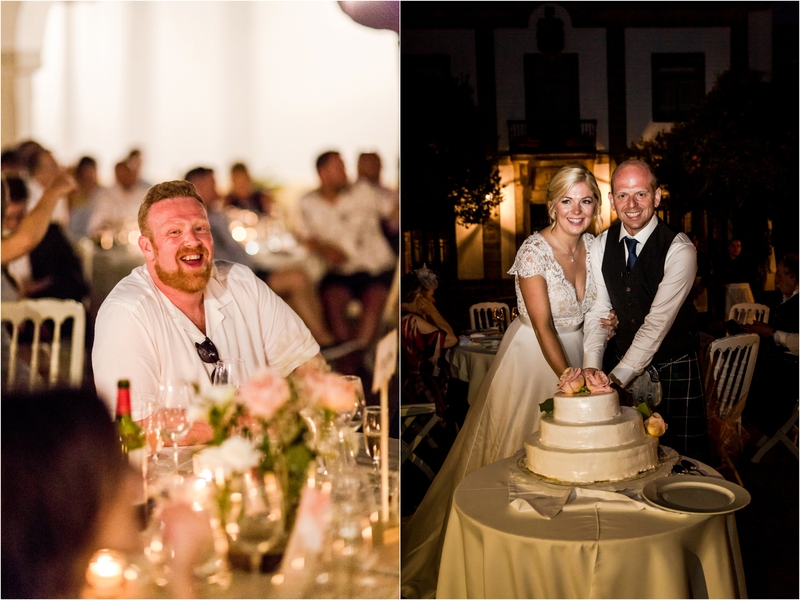 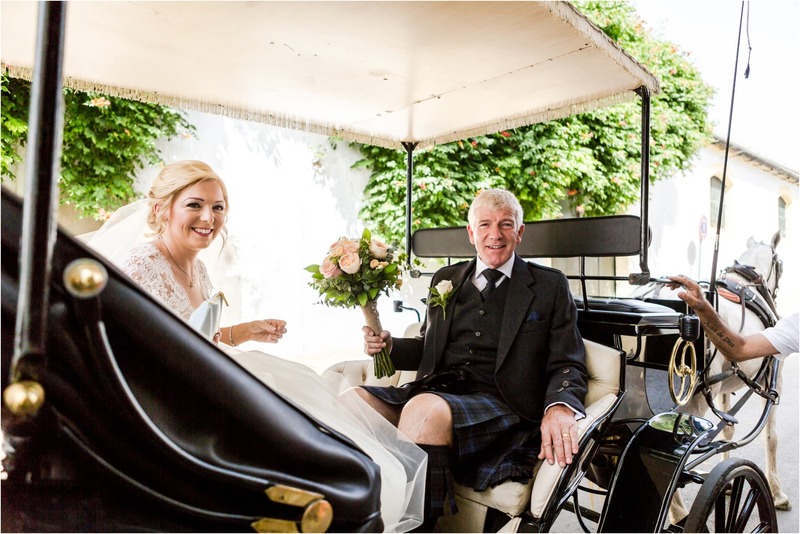 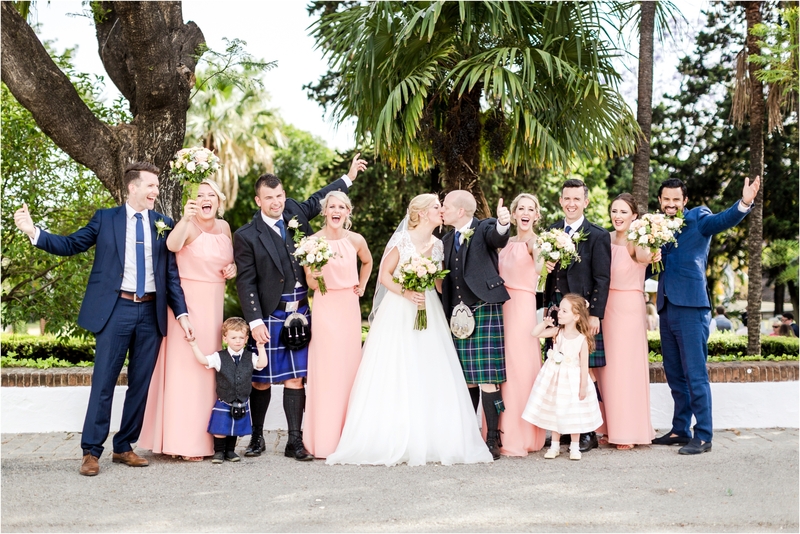 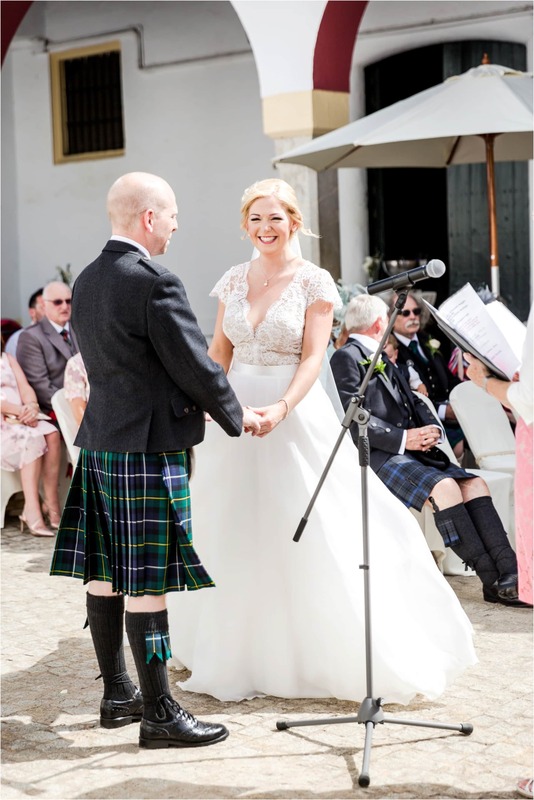 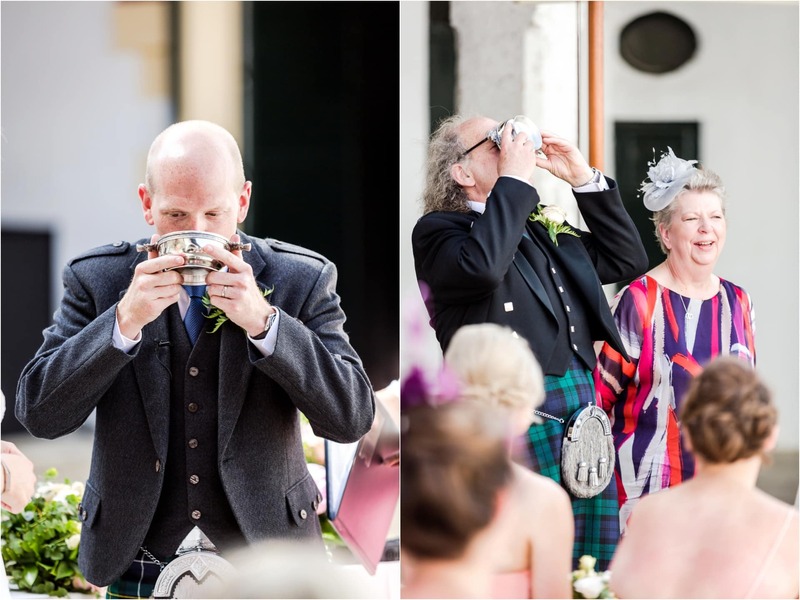 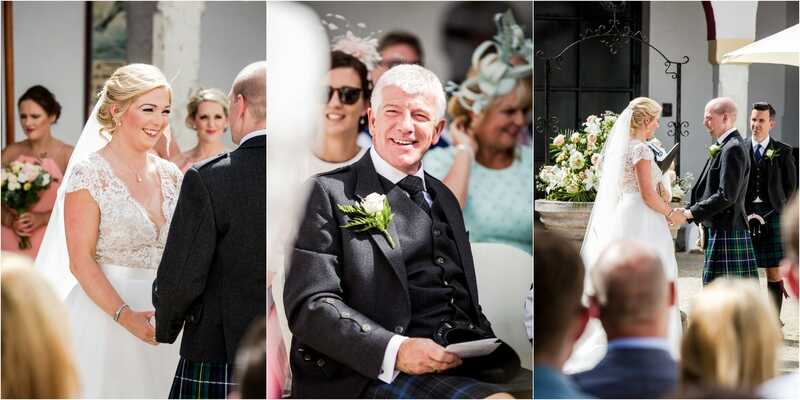 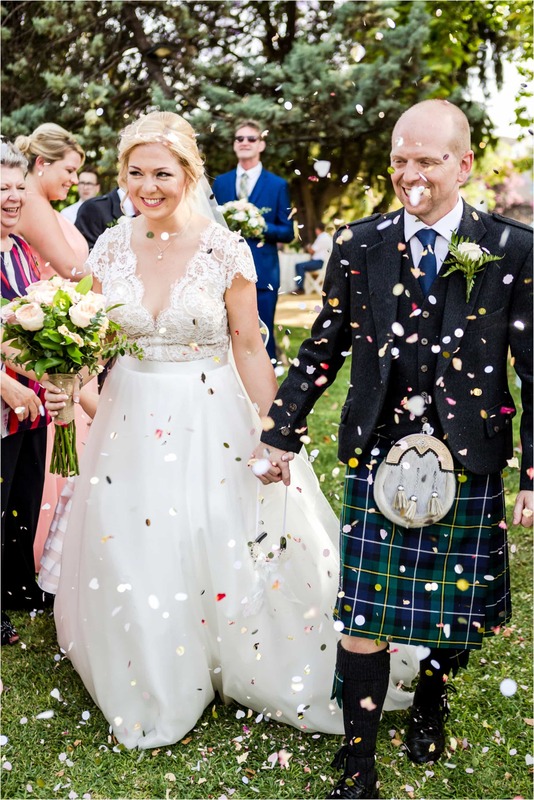 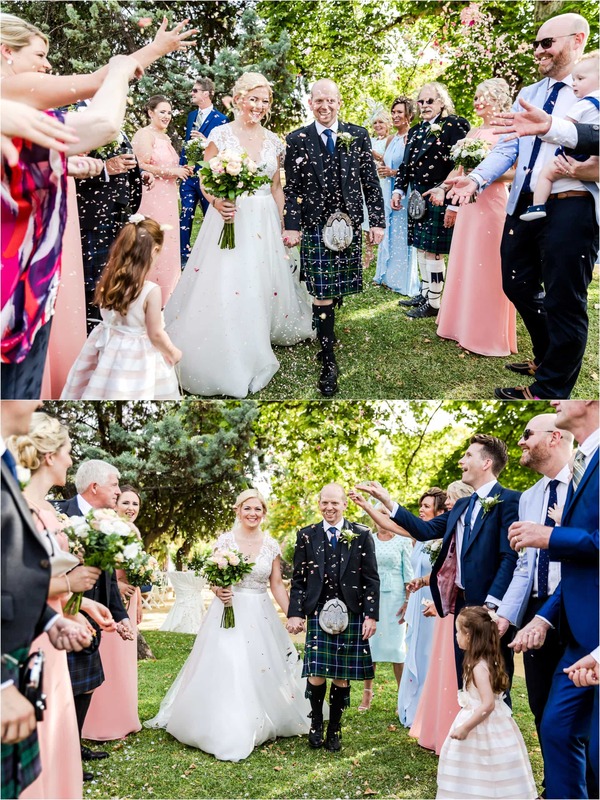 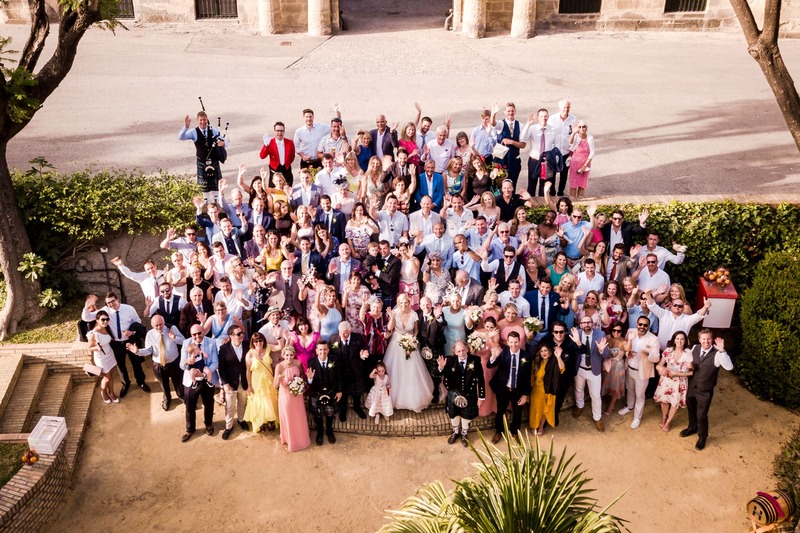 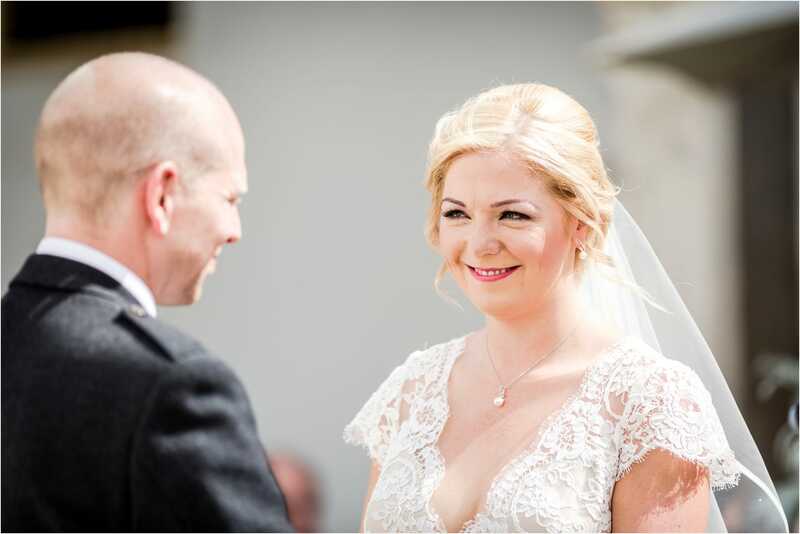 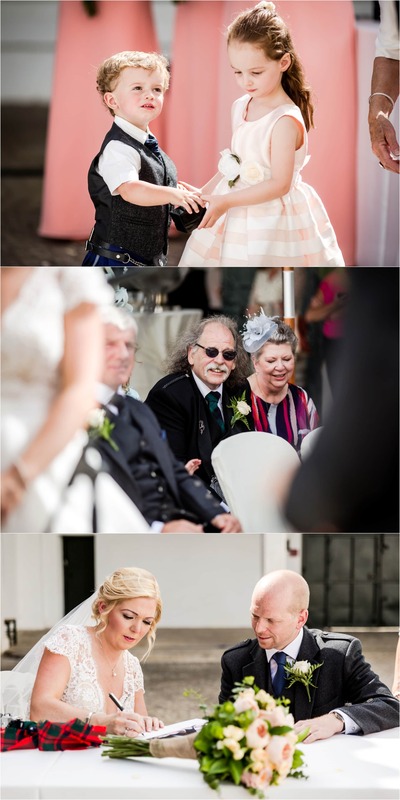 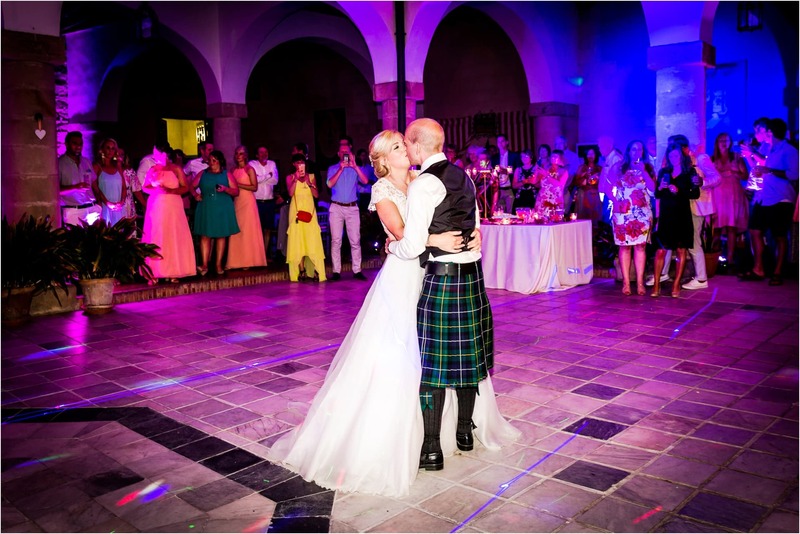 Pam – who, as you can see, smiled all day – looked absolutely radiant in her Suzanne Neville dress and Alex in full traditional Scottish wedding attire. 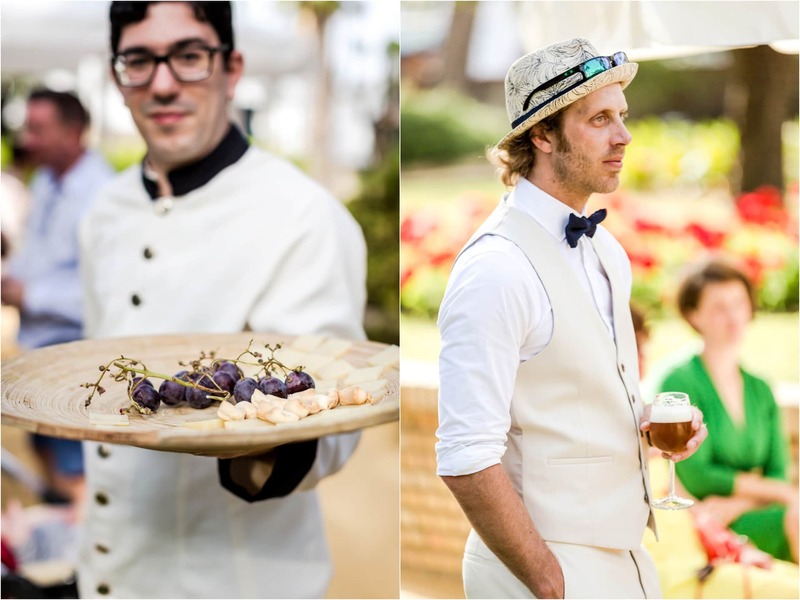 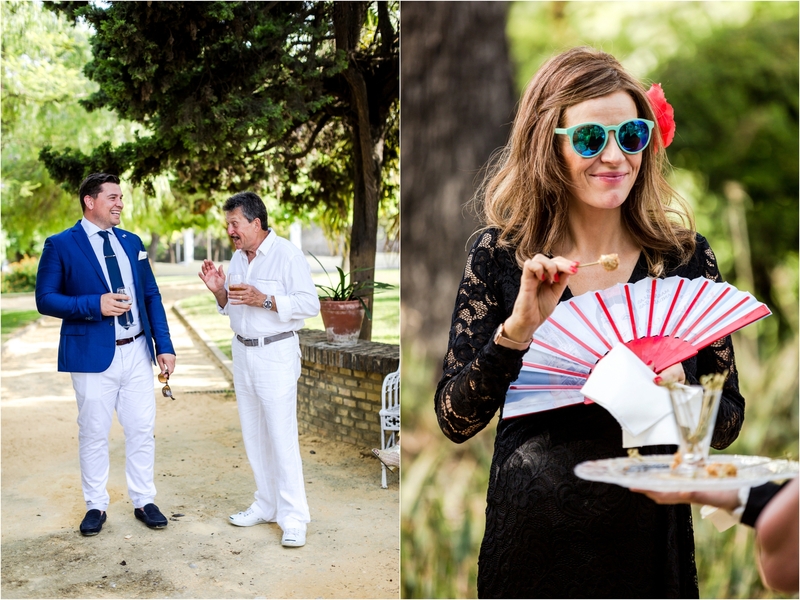 After the ceremony the guests enjoyed tray after tray of the most gorgeous canapés while relaxing in the fragrantly beautiful gardens of the Bodegas. 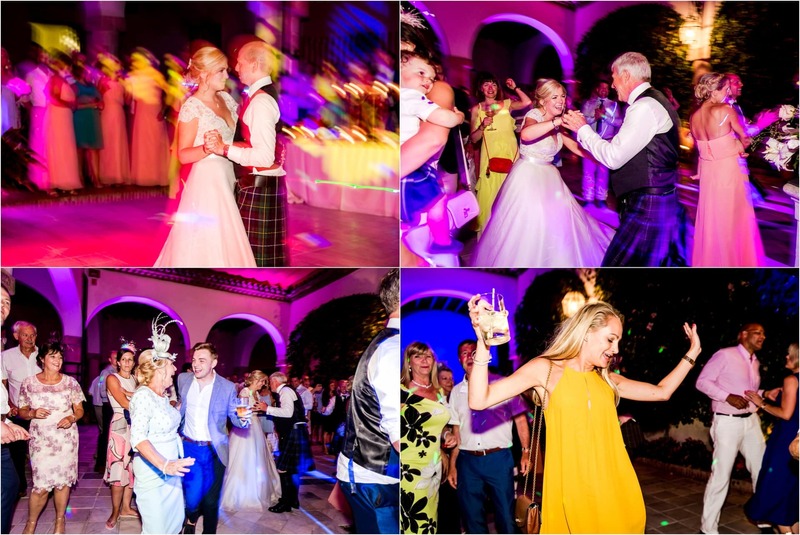 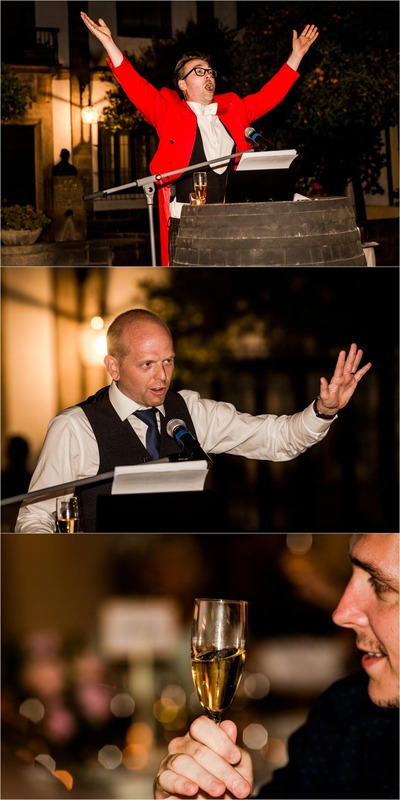 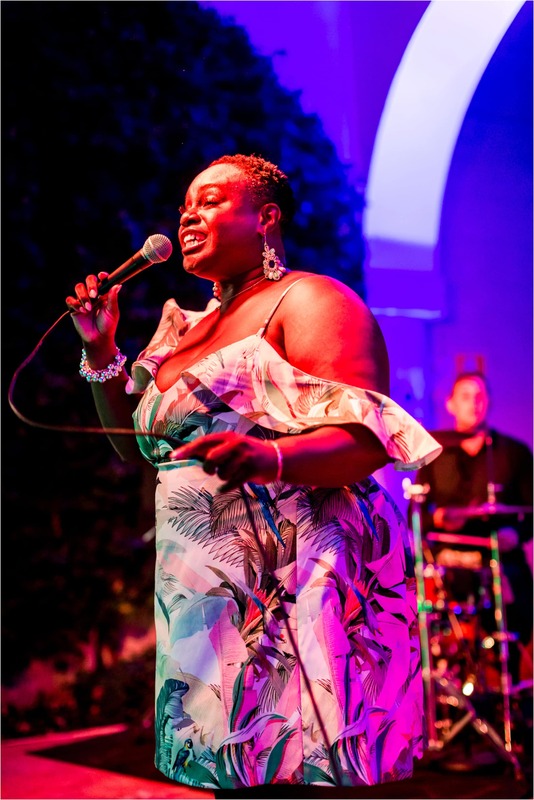 Then onto the meal and speeches – including an epic one from the groom – and then to dancing the night away! 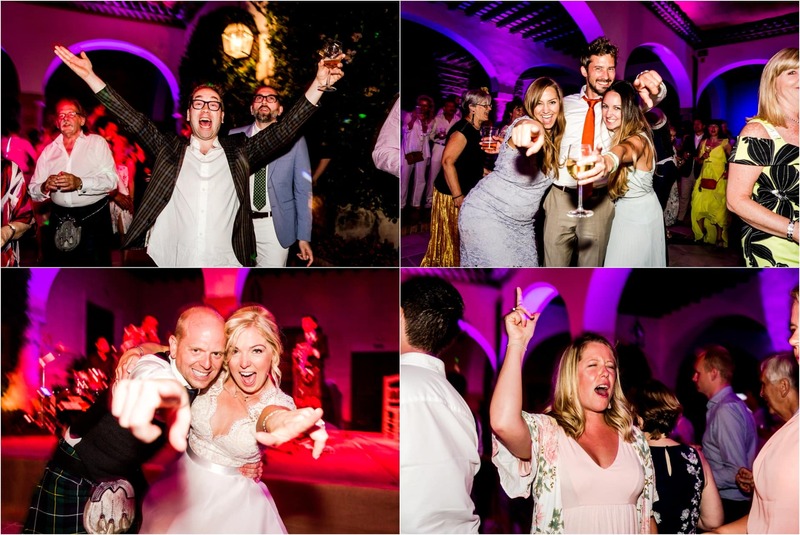 This is just a snippet of the memories – enjoy! 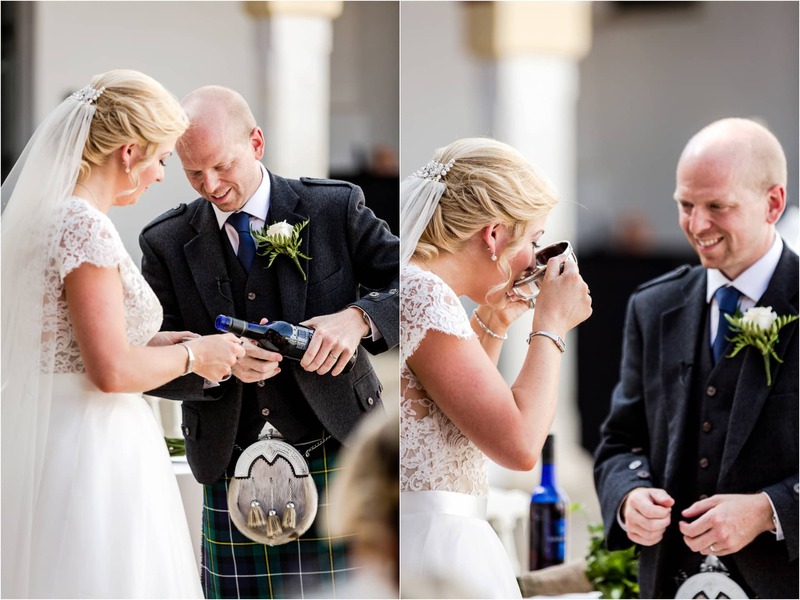 It was great to have someone as nice as you taking photos.